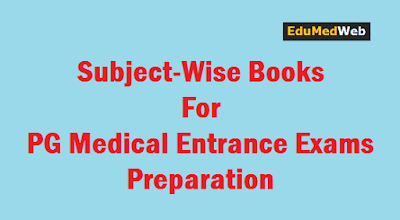 It is always confusing for students of medical PG entrance preparation like AIIMS PG, NEET PG, JIPMER, PGI about which books to use. As these Medical PG entrance exams are based on multiple choice questions (MCQs), classical medical textbooks are not of too much use. As MCQ books are needed for effective preparation, here i am mentioning commonly used MCQ books by medical students to crack these Medical PG entrance exams. It has always been counted as best book for pre-clinical subjects like Anatomy, Biochemistry & Physiology and is used by most students since many years. Self Assessment & Review of Basic Subjects (Vol 1- Physiology & Biochemistry, Vol 2- Anatomy & Forensic Medicine) by Arvind Arora. Attractive Feature is that it now gives notes (description-explanation) on every topic before starting of MCQs. This makes it a very good option for students who do not have time to go through textbooks. Forensic Medicine & Toxicology (FMT) is one of easiest subjects in medical PG entrance exams with a lot of marks weightage. ACROSS: A Complete Review of Short Subjects (Vol-2) also has FMT section. Self Assessment & Review of Basic Subjects (Anatomy & Forensic Medicine) by Arvind Arora. Pathology is subject with one of the most marks weightage in medical PG entrance exams. Review of Pathology and Genetics by Gobind Rai Garg & Sparsh Gupta. Self Assessment and Review of Pharmacology by Arvind Arora. Self Assessment and Review of Microbiology by Arvind Arora. Self Assessment & Review Microbiology & Immunology by Rachana Chaurasia & Anshul Jain. This includes subjects like Dermatology, Psychiatry, ENT, Ophthalmology, Radiology & Radiotherapy, Orthopaedics & Anaesthesia. These subjects do not have any separate book and come in combined book with different subjects according to the publication house. So I am giving few books names, some of which have already been mentioned in above list. Orthopaedics by Saumya Shukla, Anurag Shukla. (Skin, Anesthesia, Radiology, Psychiatry) by Arvind Arora. Self Assessment and Review of Short Subjects Vol 2 (Ophthalmology, Orthopaedics & ENT) by Arvind Arora. Self Assessment & Review ENT by Sakshi Arora. Counted as most boring subject by students but is very very important as just by reading this subject many questions from Microbiology & Medicine can be answered. Self Assessment and Review of Preventive & Social Medicine by Arvind Arora. Review of Preventive & Social Medicine (Including Bio-Statistics) by Vivek Jain. Has many common topics with medicine. Self Assessment and Review of Paediatrics by Arvind Arora. Special emphasis should be given on Gynecology as it has less portion to cover compared to Obstetrics and has almost equal weightage in medical PG entrance exams. Self Assessment & Review Gynaecology by Sakshi Arora. Self Assessment & Review Obstetrics by Sakshi Arora. This is one subject for which the answer varies on different textbooks and so in different MCQ books as treatment mode depends on surgeon’s knowledge and experience. So it is necessary to get latest edition of the book to keep our knowledge up to date. Surgery for PGMEE by Ashish Gupta & Amit Tripathi. Most important subject in all medical PG entrance exams. Preparing for this subject properly would enhance knowledge of student to answer questions from other subjects as well. Medicine for PGMEE Vol 1 by Ashish Gupta & Amit Tripathi. Medicine for PGMEE Vol 2 by Ashish Gupta & Amit Tripathi. Self Assessment and Review Medicine by Mudit Khanna. Platinum Notes has 3 volumes, for preclinical sciences, Medical Sciences and Surgical Sciences. It gives a short version of the theory, so it can be considered by students who are short on time and want to cover many subjects from a single source. It includes subjects Anatomy, Physiology, Biochemistry, Forensic Medicine, Microbiology, Pathology, Pharmacology, and Social and Preventive Medicine. It includes subjects Medicine, Dermatology, Psychiatry, Pediatrics and Radiology. Surgery, Obstetrics and Gynecology, Orthopedics, Ophthalmology, ENT, and Anesthesiology. This book includes all the subjects and gives description in point-wise manner.